Wrap It Up: Venice Beach Biennial - Yo! Venice! The Hammer Museum’s Venice Beach Biennial wrapped up last Sunday and the reviews are in. Click here to watch the slideshow “real size”! Alex Israel’s installation of Eastern Island heads (originally created for a Janet Jackson video – Israel rented them from a prop department) near the skatepark was easy to spot and pretty much “stole the show”. Cara Faye Earl’s “terrorists” also garnered a lot of interest. The rest of the art put forth by curator Ali Subotnick on Ocean Front Walk was somewhat more elusive, forcing attendees to question what was “art” vs. what “the” art presented by the Hammer was. Many contemporary artists are interested in the subversive, the unexpected, the interventions into established memes of experience and convention, but perhaps they overestimate the general population’s relative environmental attention. Without traditional didactics and other viewership cues, interventions went completely unnoticed even among an audience with an expectation toward viewership and familiarity with the artists. Perhaps our sense of connoisseurship is overrated? Without a price tag attached, it seems many collectors of contemporary art don’t have any idea the value or worth of an artist’s output. I wondered throughout the weekend why it bothered people so much not to know which art was brought in to the boardwalk by the Hammer and which art was created by veteran boardwalk artists. Perhaps collectors, having a stake in their “eye” for art, were wary of putting that expertise on the line by unintentionally enjoying a work of little value. Is it so frightening to look for the sake of looking, to buy for enjoyment rather than investment? 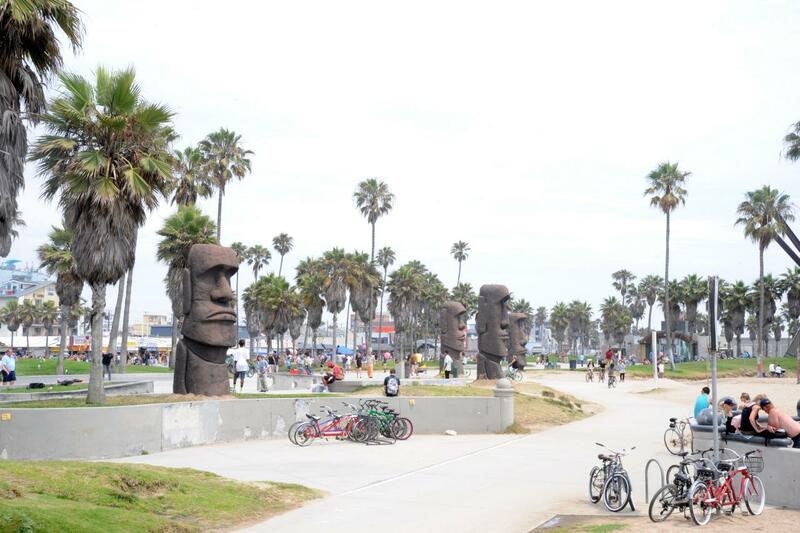 Los Angeles Magazine: Venice Beach Biennial: Where’s The Art?